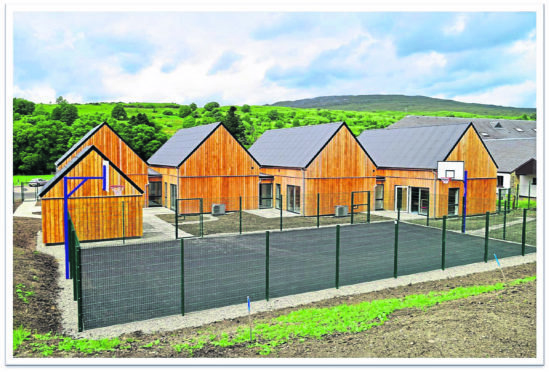 Strontian Primary School only opened its doors in October, but now finds itself without a head teacher. A plea has been made by the area’s community council for potential head teachers to consider coming to Strontian Primary School, as inspectors raised serious concerns over the lack of leadership in the classroom. Strontian Primary School and Nursery Class received a broadly good inspection report from Education Scotland. But during the inspectors visit to the school, details of which are published this week, parents raised concerns about the lack of a head teacher after the highly-regarded incumbent resigned from her post at the half-term break in October. While the post of head teacher has now been advertised three times by Highland Council, and candidates have applied, the school in Ardnamurchan has been unable to recruit a permanent replacement. The community council is now pleading with head teachers to take a look at the post in Strontian – that is, they say, “only 20 minutes from the Corran Ferry”. Education Scotland has said it will be keeping a closer eye on the school and will ask for details about progress over the coming months. Report author Shona Taylor, a school inspector said: “Under the leadership of the head teacher, the school has made good progress since the original inspection [on September 20 2017]. “At the time of this further inspection, the head teacher was due to leave the school. A successor had yet to be appointed. “Parents who met with inspectors were very concerned about the instability of staffing and about plans for the leadership of the school. “As a result of the uncertainty over arrangements for the replacement of the head teacher, we will ask The Highland Council for a report on the leadership arrangements within six months of the publication of this letter. Sunart Community Council chairwoman Denise Anderson said: “All the head teachers out there don’t know what an amazing school they are missing out on. “The head teacher who gets this job will have a brand new school, some beautiful young children and be working in one of the safest, most beautiful parts of the world. A spokeswoman for Highland Council said: “The previous head teacher resigned at the start of November. “We have management arrangements in place to cover the school. It has been advertised three times, including the present adver,t and Highland Council would hope to make an appointment early in the New Year.